In addition to this use, pennants were increasingly use multiple companies to display on their own symbols. These pendants are often used for conferences and talks, as well as other events. Manufacturer pennants can be carried out in accordance with different technologies, such as, mechanical embroidery, screen printing or sublimation printing. In turn, pendants may be soft or as hard, with insertion of the paperboard. 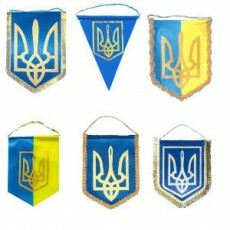 Pennants are allowed to produce any sizes and colors.